Back in the hey-day of traditional advertising, marketers knew the value of a well-chosen image. Pictures sell product. People are essentially visual, how often have you heard a customer say, ‘Oh, I like the look of that”? A good picture communicates quickly and powerfully and saunas, spas and pools are very often beautifully photogenic. Pinterest gives you an opportunity to show off your products and installations on the Internet at no cost and to a huge audience. 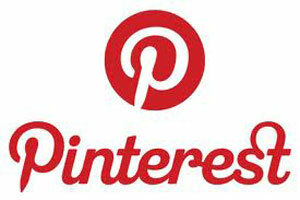 Pinterest first launched as an invitation-only site in early 2010. Those first invitations went out to 5,000 people. Today Pinterest has over 20,000,000 users. If you aren’t familiar with Pinterest, it is a pinboard-style, photo sharing website that lets users create themed collections of images that others browse for inspiration and then re-pin on their own pages or ‘like’. One popular way for people to use Pinterest is for them to search the site and then create a wish-list or style board for a home improvement project that they are planning – like a bathroom re-design, a home gym or a pool. Pinterest’s key appeal is that it is visually beautiful. The most popular images are the ones that look the best. It isn’t the place to show a range of chemicals or a new pump, but if you have installed a lovely hot tub in a great location or built a custom designed sauna then that is a perfect opportunity for a Pinterest ‘pin’. A top-end pool installation can look absolutely stunning but even if the client let’s you use images of the finished project, where do you show them off? Setting up a business account on Pinterest is very easy but if you are using Pinterest for commercial reasons then you must create a business account. The business account lets you use the full name of your business as the username that appears on the site and you can link back to your website – which is something that you definitely want to do. You can encourage people who visit your website to share your pictures with their Pinterest followers by adding a ‘Pin It’ button to your site and you can even add a ‘Follow’ button that makes it easier for people to see your latest Pinterest posts. You can also write a few words about each image. Make that as memorable and useful as you can and try and use keywords that relate to your business. Phone cameras make it easy to take pictures on the go; projects that you are working on, things that happen during your day. There is a Pinterest app that will let you post straight from your mobile. Like all social media – and Pinterest is social media – the more you interact with people, the more effective it is. Don’t just use it as a shop window; ‘like’ and ‘re-pin’ other peoples photos. Set up a board that shares images of pools from around the world that you think are amazing. Have a board that is all about great lighting design or some beautiful landscaping around a spa. It shows people that you are passionate about what you do, that you want to share your interest and knowledge with others – and that makes you and your business more attractive to potential customers. And that is the point of pining.